You may remember recently I headed down to the wonderful Ennis Creative Arts Centre the film a short slot for Nationwide, it’s being shown tomorrow night (Friday 28th March) on RTE One at 7pm for those that are interested! Here’s the blurb direct from the Nationwide website. 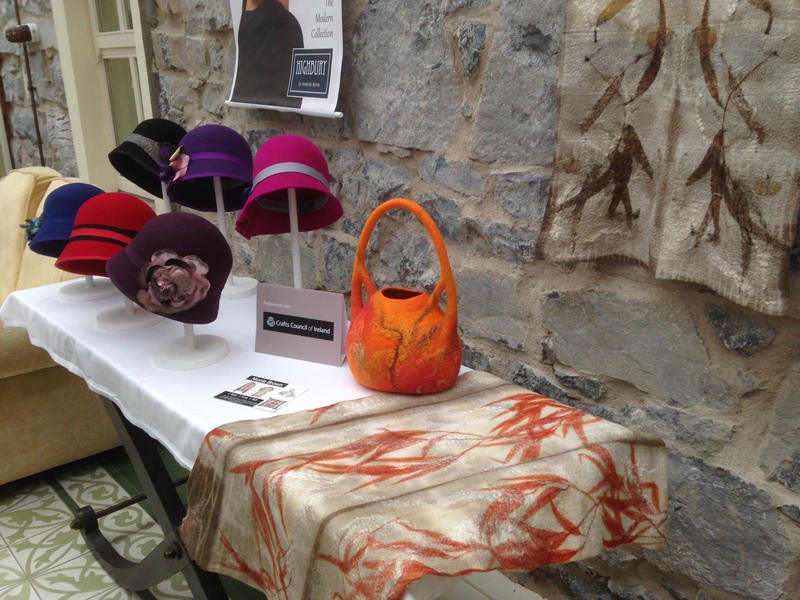 Many new businesses were set up during the economic downturn in Ireland and one very colourful and innovative centre in Co. Clare inspired and helped several women from around the country do just that. The ‘Ennis Creative Arts Centre’ is where tutors from overseas and Ireland gather to teach and develop all aspects of Arts, Crafts and Design for those wishing to learn a variety of creative skills for the first time or indeed expand their business in a way that they have unique products and crafts to offer their customers. Áine Lally has the story. This entry was posted in events and tagged Ennis Creative Arts Centre, Felt, television by Nicola. Bookmark the permalink. Beautiful work and that orange bag is to dye for.